When I say shopping, you think…? Some think of the mall, while others think of a specific department store. 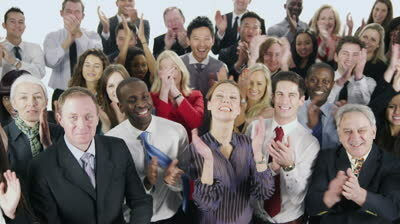 When I say football game, some people think of the game of football while others think of the Superbowl. What about when I say family? A few people will think of aunts, uncles, cousins, etc., but most will think of their immediate family members–brothers, sisters, fathers, and mothers. Why is this? It is because when it comes down to it, the terms “shopping”, “football”, and “family” apply in more than one situation. The same is true when we consider the word “church”. As we will see today, there is a Universal and Local aspect to the “church”. The Church, as we looked at last time, is an assembly of people built upon a common confession of Jesus Christ as the Savior and Lord of their lives, and the recognition that they ultimately belong to God. So when discussing this formation God has started and been building, we must recognize that it is a group of people, not just a building or location. God makes that very clear in Ephesians 4:4-6 when speaking of the ONE body and ONE Spirit. The Holy Spirit, through the apostle Paul, is encouraging and admonishing the Ephesian church to be united in their commonalities rather than divided over their differences. In this passage, Paul lists seven “ones” the believers in Ephesus and of all time have in common: one body, one Spirit, one hope (vs. 4), one Lord, one faith, one baptism (vs. 5), and one God and Father (vs. 6). We see this idea of oneness in the church throughout the New Testament (John 1:12-13; Ephesians 2:8-10; 1 Corinthians 12:13). So whenever the church is mentioned we must recognize that it goes beyond any building or one location. The church of Christ is not bound by geographical limitations. However, in Hebrews 10:24-25, the writer of Hebrews instructs believers to “not forsake the assembling of themselves together”. And if the body of Christ worldwide is to obey this command, how do we carry it out? We fulfill this command through the local church. The local church is a minute gathering of the larger, universal body of Christ. It is a representation of the larger body of believers who are in a specific and shared location. All throughout the New Testament, we see multiple churches meeting in multiple locations (Romans 1:7; 1 Corinthians 1:2; 1 Thessalonians 1:1). In Revelation 1:11 and chapters 2-3, Christ gives commands, exhortations, and correction to seven different churches. And in Galatians 1:2, we see there are often multiple churches within the same area. Not only is location given, but the time is also given (Acts 20:7). Local churches since the apostles’ time have met on Sundays. Why? Because of the pattern set for us in Scripture, along with the fact that Christ (the reason for our assembling) rose from the grave on a Sunday (Matthew 28:1; Mark 16:1-2; Luke 24:1; John 20:1). The church of Christ has always been represented through the local assemblies of believers who live in relatively close proximity to one another. So while some may think of grandma while others think of mom when speaking of family, the truth is that family is still family. And while extended family is family too, it is in the context of our immediate family where we learn how to interact and live as a family. The same is true in the church. While the Church is all over the globe, it is in the context of a local church we see the love of God lived out. And it is in Him and Him alone that we were all “reconciled to God” (2 Corinthians 5:18). It is because God “made him to be sin who knew no sin, so that in Him we might become the righteousness of God” (2 Corinthians 5:21). It is what Christians have come to know as the Great Exchange – He died, so I could live. And it is through His death, burial, and resurrection that the Church can and does exist today! So what is the church? Although it is, an assembly of people built upon a common confession of Jesus Christ as the Savior and Lord of their lives and the recognition that they ultimately belong to God, it is given flesh and bones in the local churches throughout the world. Stay tuned for part 3 of this series “The Church”. Up next: Structure and Organization. 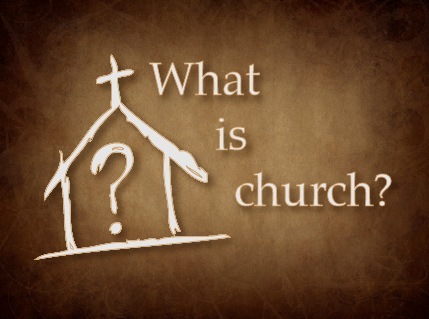 If you missed part 1: The Church:What is it?, read it here!